Hey guys! 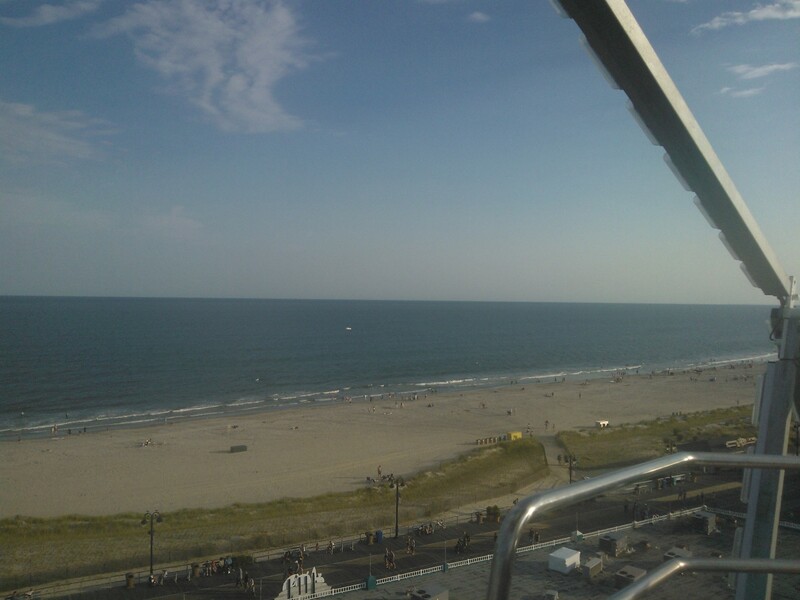 ❤ So as I mentioned a few posts back, Ocean City New Jersey was my vacation destination as a child. After not being down there for two years, we decided to go back yesterday, just to walk the boardwalk since beach tags are required to get on the beach. I must admit, the second we walked up on the boardwalk between the beach store and Fudge Kitchen, I felt like I was bag at home and a wave of nostalgia washed over me. 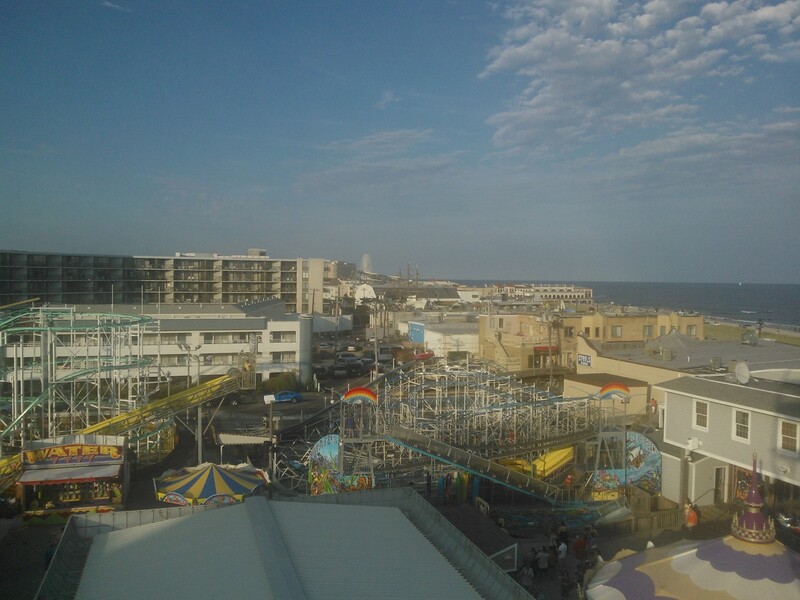 There are so many amazing aspects of Ocean City that I think I have to split them up into multiple blog posts. The first thing I’ll talk about is the amusement park, Playland’s Castaway Cove. One of the things I’ve always liked about Playland is that their tickets never expire, so at the end of the season you don’t have to worry about using all of them up. My mom still had over 100 from the last time we were down there, so we set off to the park, located at 10th and Boardwalk (on the boardwalk). The park is fairly big with a few roller coasters and log flumes. There’s also a large train that drives around the park, so you can get a view of everything before you decide what to ride. 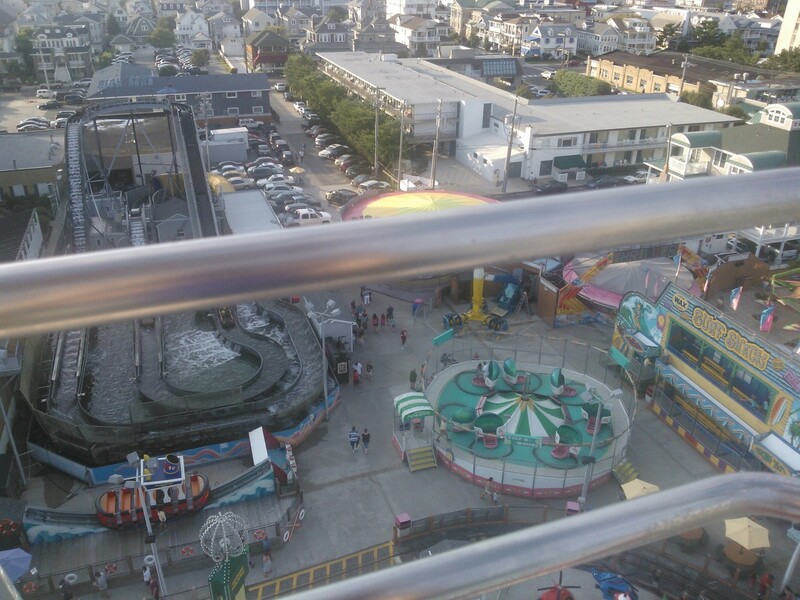 I’m not a very big fan of thrill rides, so my dad and I set off the little kids section. There was a mini roller coaster called The Sea Serpent. I remembered it from when I was younger, but I honestly doubted I’d fit in one of the cars with my dad! There was also an antique Jeep ride, where cars follow a track while the kids “drive”. My dad joked we should go on that now that I’m driving. Ultimately, the first ride we decided to go on was called Tidal Wave. It consisted of large arms of three seats coming out from the middle. The middle part then rotated in circles as the arms bounced up and down. It was really cute, and so much fun. 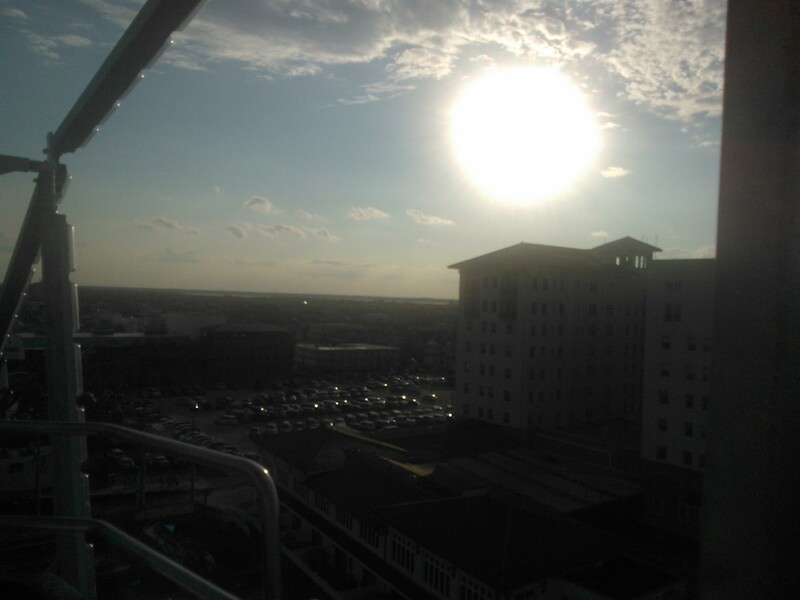 After Tidal Wave, we decided to go on the Ferris Wheel. 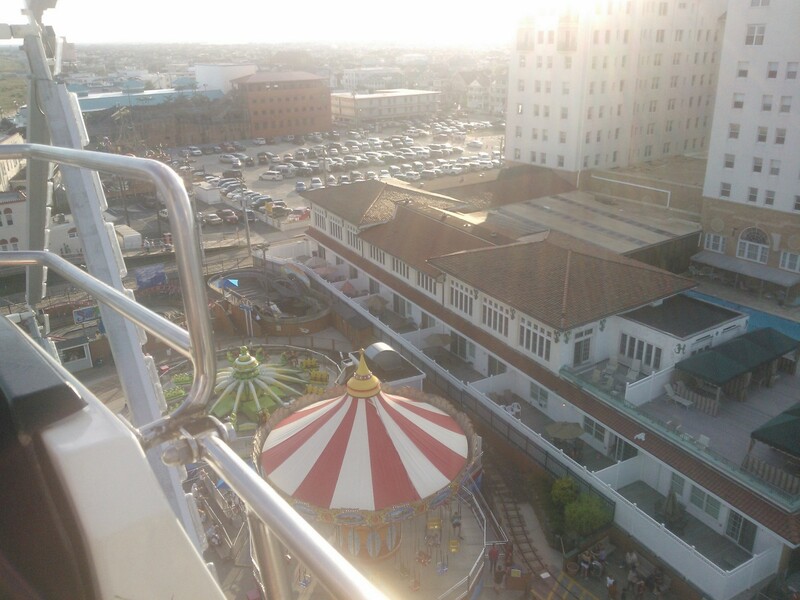 It gave us a great view of the ocean and the entire shore town; I’ve attached a few pictures taken from the top for you guys. The view was simply breathtaking, and I’d recommend the ride if for nothing other than that. When we got off, we decided to save our tickets for another day since we’d just eaten. After all, they never expire so it didn’t matter! 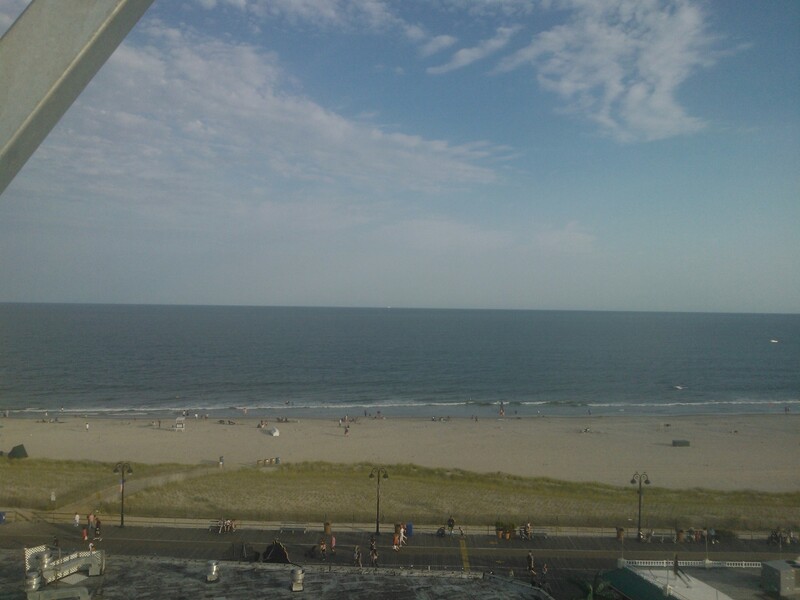 It was a really great experience, and a must-do if you’re ever in Ocean City, New Jersey.